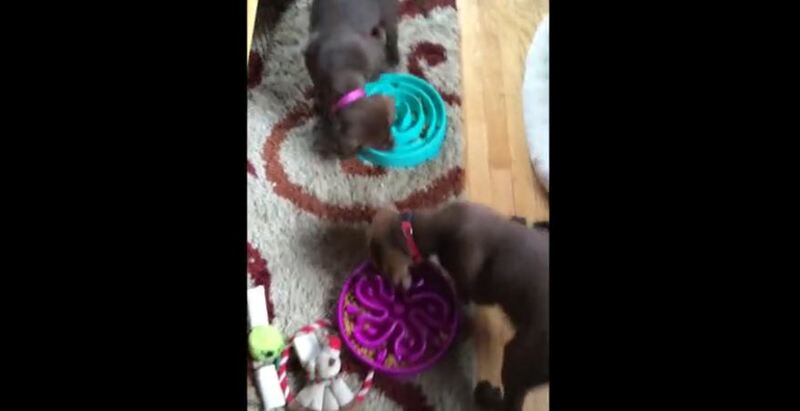 These Chocolate Lab puppies enjoy their new food dishes, which are like mazes for their food. The dogs circle their bowls, trying to get to their food, while constantly bumping into each other. We just hope they don’t get too dizzy before the meal is over.